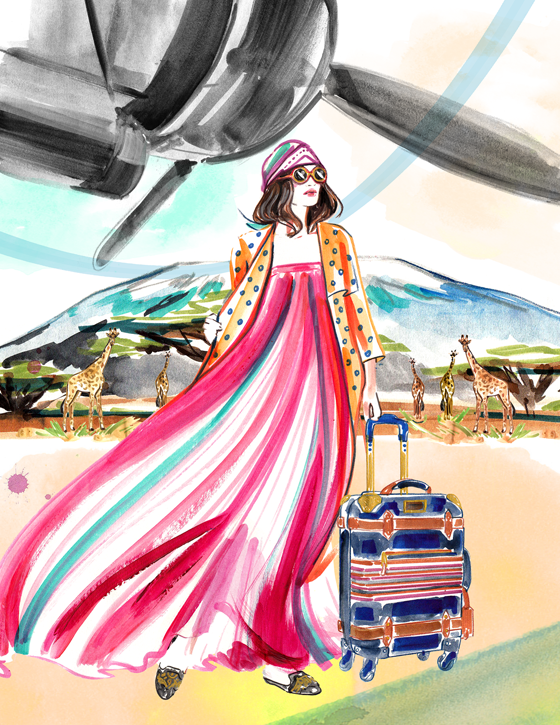 I'm so thrilled to share with you this illustration inspired by the new David Bromstad x Kipling USA collection. From the moment I started Travel Write Draw, I have always looked to the Golden Age of Travel for inspiration. Picture vintage luggage tags, and those gorgeously illustrated posters for destinations across the globe. David Bromstad used those same references when designing this capsule, which is why I was so excited to partner with Kipling in celebration of the #DavidBromstadxKipling collection! And guess what, my darling readers?! If you use this promo code: DBxKipling you can get 25% off the DB collection! Oh and for those of you who follow my Instagram, you know I've been mentioning my next rapidly approaching adventure, and this illustration gives just a little hint of where I'm heading to next!! Any guesses?! All will be revealed soon so stay tuned.